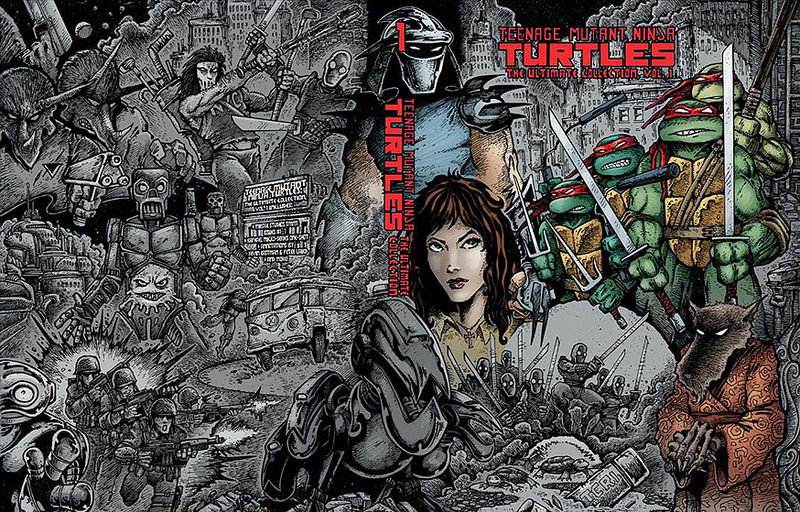 I collected the Comic books, both the more innocent and light Archie Comics version (which I could pick up at 7-11 in the turning comic book holding bins that gas stations used to have), as well as the original, more gritty originals by creators Kevin Eastman and Peter Laird (which I would have to get at a comic book shop in downtown Provo, my home town). I had a mass collection of action figures and VHS tapes. And I watched the original animated series passionately. 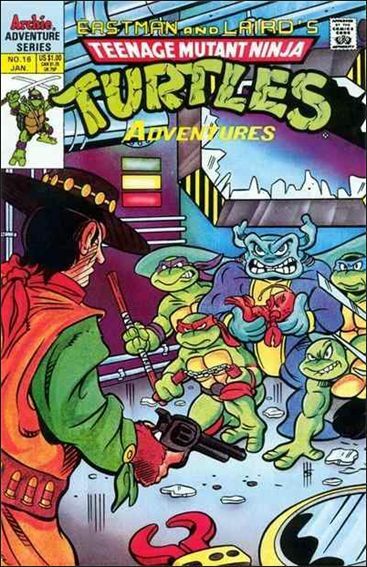 I tried to draw the Turtles by looking at my comics and developed some early art skills. 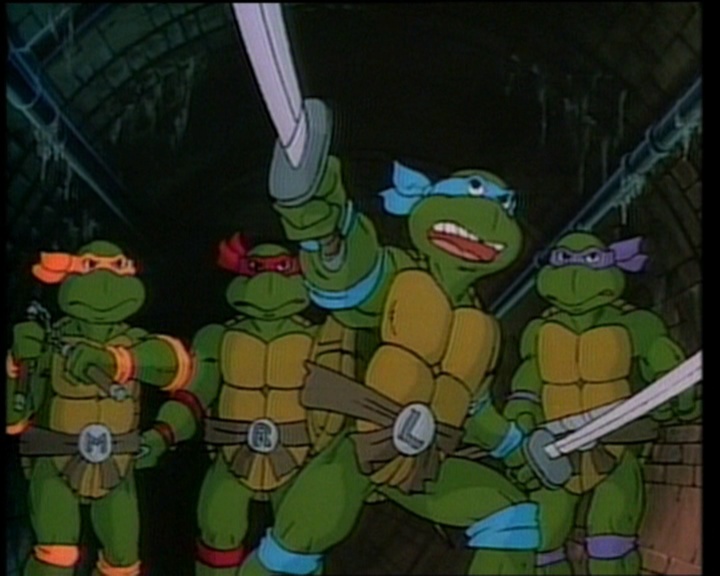 Although I was never as good as my naturally talented friend Arnold Ngutavai (he drew and colored a very expert looking picture of the four turtles for me once, which I treasured), yet I still spend hours trying to improve my skills in creating those heroes in a half shell. I showed them to my father once and I was extremely pleased when he was surprised that I hadn't traced them. He had no clue I could draw like that as a third grader. When I went to the barber's shop with Dad at BYU's Wilkinson Center, he would give me quarters to play the arcade game (arcades! That really dates me...). I spent a lot of quarters and had a lot fun with those little, electronic avatar friends as I waited for those haircuts. 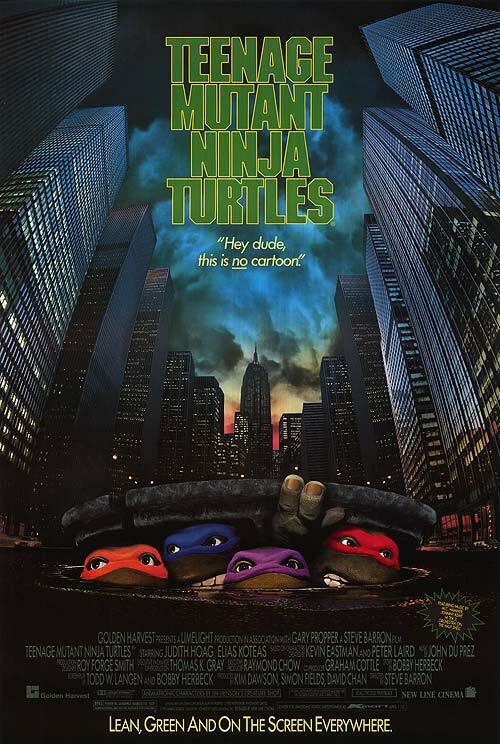 When I was introduced to my future brother-in-law Mike, the first thing I showed him was my Ninja Turtle action figures, including a character who you could put green slime into the top of its head and it would come out of his mouth. That was my way to make a good first impression. When I saw the ad for the movie, I nearly squealed with excitement. I cut out the clipping from the movies section of the newspaper and saved it and looked at it lovingly as only an admiring and enthusiastic child can. I counted down the days until the movie came out-- and when I was finally able to see it, I was in heaven. To see them in all of their Jim Henson created life was something special, and I remember thinking, in my child-film-critic way, that they had done an excellent job with the film. It was a film I watched over and over again when I received it as a present on VHS. Its sequel Secret of the Ooze was even more anticipated and became the origin of that iconic cultural treasure, Vanilla Ice's "Ninja Rap." Again, my just slightly older fanboy self waited in theater excitedly and was not disappointed with a film that was fast, fun and filled with fond, future memories. 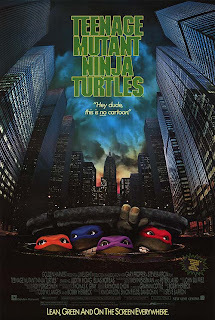 Looking back on it, I think the original film was better made and would probably be more appealing to my grown up self. But my nine or ten year old self definitely put the sequel on top. 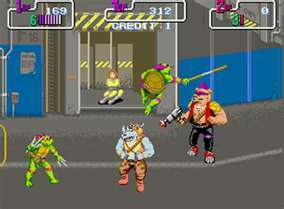 It had two more mutated characters, lots of bright, colorful action, and was tons of fun. What more could a pre-adolescent boy in elementary school ask for from fine cinema? 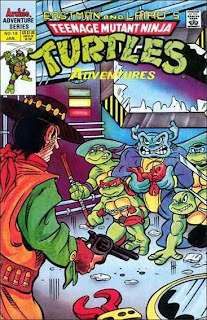 Eventually, however, my long love for the Turtles would eventually wane when my brother Jared bought me a X-Men comic I thought looked interesting at 7-11. I was re-intrigued seeing a comic book of Rogue and Magneto in the Savage Land on the cover. I had remembered encountering those different kinds of mutants the X-Men in my cousin Jeremy's collection of comic books, in my brother Mark's introduction to me of the Dark Phoenix Saga comics, and the fan-tastic "Pryde of the X-Men" cartoon pilot which was made in the late 1980s and showed on Saturday mornings occassionally. So coming across that comic ignited my imagination once again, and I passed over the Ninja Turtles comic to buy my first X-Men comic. Although I still kept a fondness and attention for those Turtles, eventually their place in my child's cultural pantheon was replaced, and a new era had begun. 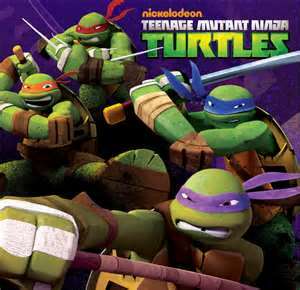 So here I am now, a 32 year old father of two, and I notice a new Ninja Turtles cartoon put out by Nickelodeon. So I take my six year old son and my two year old daughter and we watch the new series, and I see the same delight start to conjure in their eyes. And the series is good, very good, much better than I think the original was. So we've got a little collection of Turtle fans again in my house. 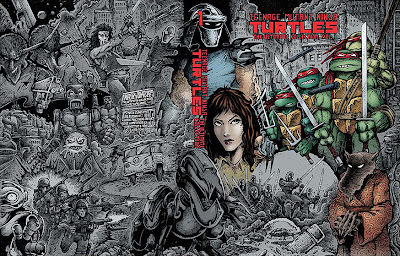 For my anniversary, one of the things on my Amazon Wish List my beautiful wife got me a nice bound version of the original collection of Mirage TMNT comics re-published by IDW Comics. I had never read these ones, actually, as they had always been too expensive for my little child's allowance (even the second and third printings), being as rare as they were and as popular as they were. I had always longed to read them as a kid and often stared at them lovingly in the bin at the Atomic Comics store. Thanks to an awesome wife who is very understanding of my nerdy interests, I was able to fulfill that childhood dream today and was filled with deep nostalgia and giddy happiness. Once again I was reminded why I have no interest in losing the magic of my childhood.